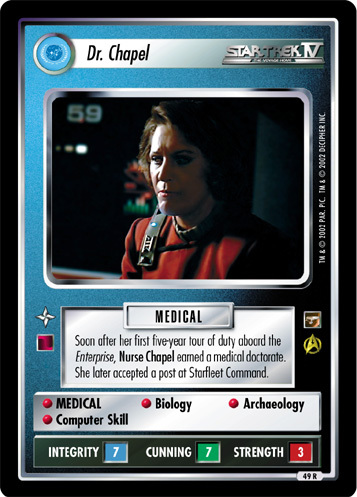 Christine Chapel is head nurse of the starship Enterprise. Holds degrees in medical archaeology and biological research. Hopelessly attracted to Mr. Spock. • Biology • Archaeology • Exobiology • Reports for free if Dr. McCoy or Mr. Spock in play.